The debate between privacy and the ability for security organisations to be able to carry out their work has once again been reawakened after the head of MI5 claimed that encryption technology such as that used in VPN services was a clear danger to public safety and poses a terror risk to the UK. MI5 head reiterates threat encryption poses. The timing of the statement may be seen as very convenient by some as the UK is set to imminently publish new surveillance laws. As has been seen this year already when such laws are to be debated or passed there appears to be well-timed speeches made by the likes of MI5 head, Andrew Parker to surreptitiously plant the idea that an increased risk should inherently lead to greater surveillance powers. With internet access widespread sections of the public are somewhat savvier than times gone by where anything that came from government or security services was just taken verbatim. While I don’t doubt that encryption and technology have increased the work of security services and made the task more difficult, one has to wonder if the government have caused their own downfall after revelations about mass surveillance were made public by US security contractor Edward Snowden. It was at this junction in history that sections of society started to look at their own online privacy and make moves to protect it by employing encryption and services such as VPNs. MI5 head Andrew Parker claims that terrorists are now able to communicate “out of the reach of authorities” and because of this it is becoming more difficult for them to obtain information and ultimately track terrorists and thwart terror events on home soil. 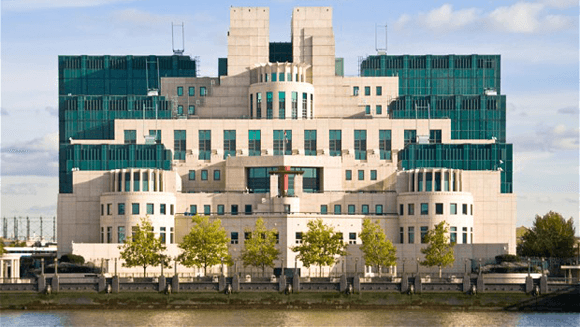 Although he acknowledged that MI5 and other security agencies needed greater powers he stated that they were not interested in browsing the private lives of the public and any legislation would be for the British parliament to decide. The issue with heads of security service wading into the debate when new surveillance legislation is just around the corner is it is a respected voice championing the cause. Although there is a large group of security conscious members of the public concerned about what new legislation may bring their voice is often lesser heard than such names as the head of MI5 and really does nothing for a public debate on the issue. It goes without saying that the threat of terror is very real and events in the UK and around the world have proven this to be true. However as the saying goes, with great power comes great responsibility and while technology has enabled user end encryption to become available widely it has also enabled the security services greater ways of delving into the private lives of every citizen in the country. Original legislation dubbed the Snooper’s Charter was heavily criticised and often any such legislation in the UK is hurried through with minimal public knowledge and very little scope for public feeling to be taken into account. In similar cases it has been left to privately funded security conscious groups to make the public aware of such legislation and champion against it of which would have otherwise slipped through unnoticed. It is often this behind closed doors passing of laws that makes the public suspicious and while it is true that the security services do need reliable methods to track criminals and keep the public safe it is unfortunately the case that UK law takes the matter too far without public consultation. As the state of California have just passed privacy laws that were widely greeted with praise from all parties concerned it will be left to be seen if the UK can emulate that and not only give enough powers to stop terrorist and criminal threats but also keep privacy minded individuals happy. Could US States save Net Neutrality?